What is your favourite craft magazine? 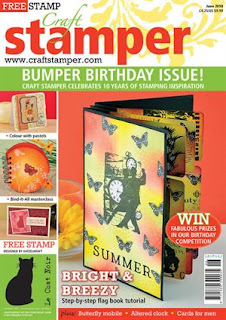 I'm a big fan of Craft Stamper, a montly UK magazine for papercrafters. It has a mixed media touch as well as tradiitonal cards and other papercraft projects. Craft Stamper comes with a free clear stamp and extra projects online related to the magazine. I'm going to attempt the Flag Book pictured on the cover of the June edition above, for my calligraphy project. If you're a fan of Craft Stamper Magazine, the Craft Quartet is a blog inspired by the magazine. The whole blog is about projects sparked by Craft Stamper. There are some great posts on the flag books. They look stunning. 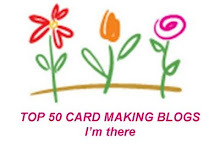 When researching flag books, I also found this great video from the super talented Dawn from Dawn's Stampin' Thoughts. She calls it a tag book, but it's the same effect. Update: Check out an innovative flag book or flag card variation with different size tags from Jozart Designs, a blog I follow... very inspiring. Any more flag book, tag book or flag card variations? I'd love to hear about more ideas for this technique. Thanks so much Yvonne for your mention and for the credit on your blog. I will cross reference with a link to your blog as it's great info and some lovely work there. Thank you Jo. Lovely to see you here and love your work.